Do you want to have asbestos removed or tested in your home or business, call Stephens Environmental. Our asbestos abatement contractors can control any size removal project within Sacramento. Prior to starting a renovation or demolition contact our asbestos removal experts prior to starting. We'll have one of our licensed consultants call you to arrange a time to examine what should be done. 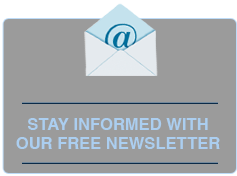 All advice and estimates are completely free. An important move is to find a company in Sacramento that you trust. We are here to provide that solution. All kinds of issues are resolved with Stephens Environmental. Our company manages commercial and residential projects. We have certified asbestos abatement contractors who can take care of jobs like asbestos siding removal, roofing, insulation, floor tiles, caulking, as well as asbestos in popcorn ceiling tiles. Having removed asbestos properly and efficiently in many Sacramento homes, we can do the same in your home. Do you be worried about whether the building elements in your own home or business contain asbestos? If that's the case, you need tolearn about having Sacramento asbestos testing be completed by P.W. Stephens. 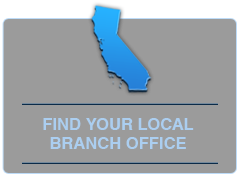 Whether you are in Sacramento or outside the area, we’re generally able to test and remove asbestos. Asbestos is a natural fibrous mineral which is used in lots of applications for its fire resistance, noise insulation and electric insulation properties. Common uses prior to mid-1970s included building products including pipe insulation, acoustical sound-proofing, house insulation, fireproofing, house siding, floor coverings, roof materials and heating and cooling systems. P.W. Stephens is a legitimate leader in the asbestos environmental field. Every one of our asbestos removal handlers which actually work in the Sacramento, California region are experienced, certified, and trained to manage your house or company environmental concerns. 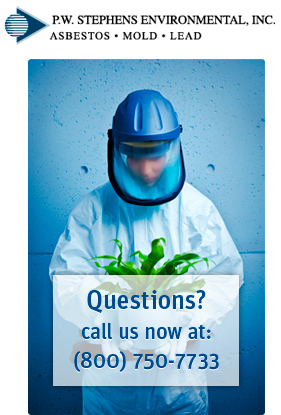 Call 1-800-750-7733 to book an appointment with one of our asbestos testing specialist today. We conduct a thorough assessment of your home to identify asbestos fiber materials. Asbestos is present in a wide variety of building materials including insulation, plaster, floor or ceiling tiles, plaster, ductwork, roofing shingles, adhesives, and more. These materials are not dangerous if it's in good shape and uninterrupted. They simply turn out to be hazardous if the material is disturbed or damaged so that asbestos fibers are released in the air where they may be inhaled. Incorrect removal could raise the health threats to you and your family. Testing for Asbestos- having asbestos testing performed will verify whether you have asbestos materials or not. According to the range of sections of concern, a specimen will be taken and transported to a lab which is licensed to analyze hazardous materials. The moment the results are in, then a plan of action will be put in place. Our company offers complete line of asbestos services for all your needs. Asbestos is identified by the United States Federal Administration as a carcinogen. It was actually used in flooring and building products for many years. Asbestos is a naturally occurring mineral previously utilized in building materials generally as an insulator or fire retardant. Today, asbestos is recognized as a health risk. Even though it is necessary to remove asbestos, its removal is highly regulated in order to guard public health. You must secure a permit for asbestos removal. P.W. Stephens is a reputable business with years and years of experience. Our emphasis is on a healthy living environment and our full service solutions provide this to our Sacramento customers. The removal and abatement method is completed by one of our local Sacramento asbestos removal handler's and follow city & state guidelines. A local Sacramento disposal company handling toxic waste are allowed to get rid of asbestos. We provide safe asbestos removal throughout New York City. For a cost-free asbestos removal quote and assessment call us at 1-800-750-7733. Asbestos removal rules supply guidelines for the safe removal of asbestos. Starting in the 1900s up until the 1970s, residential and commercial construction projects in Sacramento, California and across the nation applied asbestos materials in over 3,000 building products. Asbestos fibers are likely to break easily into incredibly tiny size particles which can float in mid-air and stick to clothes. The fibers may be easily taken in or ingested can cause major health concern. Persons exposed to asbestos have developed several types of fatal diseases, including mesothelioma and lung cancer. Although the use of asbestos and asbestos products has significantly dropped, they are still found in many commercial and residential properties and continue to pose a health risk to workers and others, which is the reason asbestos removal companies such as P.W. Stephens are so necessary within Sacramento, California. You can be sure that our asbestos removal pros within Sacramento will seal off and pack asbestos material in a 6-mil plastic bag. We guarantee that pointed sides will not perforate the bag when transporting. Any debris that is punctures the plastic will not be permitted by the waste disposal site. We always comply to the stringent guidelines setup by the city of Sacramento and the state laws of California. For a no cost asbestos removal quote and consultation phone us at 1-800-750-7733.